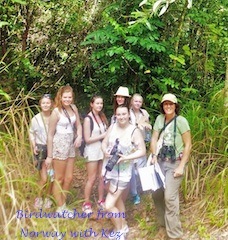 Bird Watching - Get Involved! EnviroCare’s Facebook pages give updates on what is happening weekly, monthly and yearly. 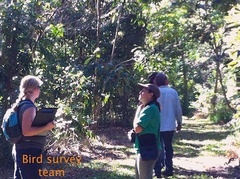 Bird monitoring usually takes place every two months with a walk-through several sections  along the Barron River, each of 400m there and back, and usually two to four sections at a time. Dr Ray Pierce, an ornithologist and ecologist, will walk you quietly through and identify the birds predominantly by their calls – thus it is important to listen first, speak when necessary and use binoculars to learn what birds are calling. You will learn how to ID bird through their habits of flight and forage, plant usage and nesting, etc. Alternatively, send in your bird photos for ID along with any information you observe about their feeding and nesting habits. This will help build the database for the area. The living website – to be continued as a long-term research project – including literature review. 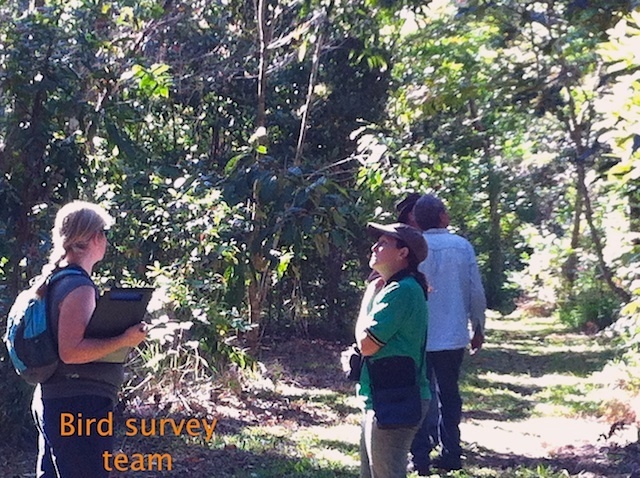 EnviroCare is run by volunteers, so your participation is needed and appreciated.